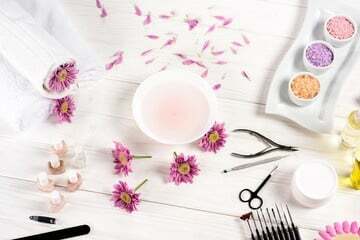 Keep your nails clean and looking good with Satin Nails and Spa—the nail experts. Located in Roanoke, TX, our nail salon is designed to bring a wide range of nail services that will give your nails the care they need! Our talented team of nail technicians is committed to ensuring safe and hygienic practices in our everyday nail procedures. Specializing in dips, acrylics, gels, and nail design, we are the perfect nail salon if you’re looking for quality nail services and friendly service. Our passion for creating an enjoyable experience for our clients each time they visit us is what made us one of the most preferred nail salons in the area. Here, not only will you get your nails professionally done, but you will also experience the kind of pampering you truly deserve. From word-of-mouth recommendations to online reviews, more people in the area are finding their way to Satin Nails and Spa. Experience nail care like no other when you visit us today. If you wish to learn more about our nail salon and the services we offer, please do not hesitate to give us a call or send us an email. We look forward to being of service to you!